During their library time, students in all classes will be working their way through various computer programming tutorials for the month of December. 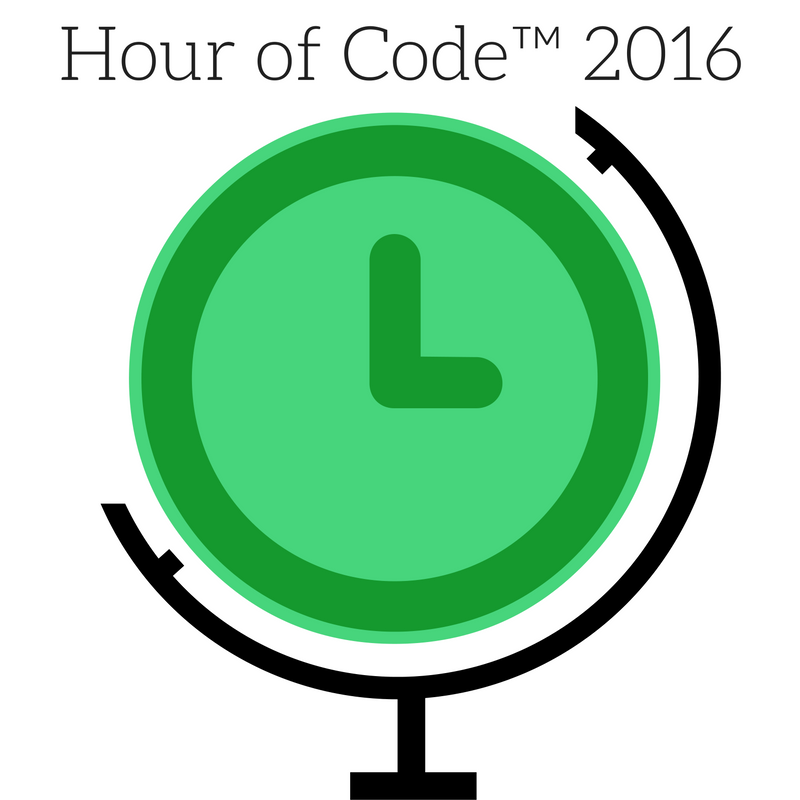 The Hour of Code™ learning event officially takes place during Computer Science Week Dec. 5th-11th, 2016. “The ‘Hour of Code™’ is a nationwide initiative by Computer Science Education Week [csedweek.org] and Code.org [code.org] to introduce millions of students to one hour of computer science and computer programming.” Check out these video introductions. Goo gle’s Made With Code Projects – choose any project to complete including a LED dress! CodeMonkey -Program a monkey to catch bananas. Lightbot – Solve puzzles using programming logic. Teaches basics, procedures and loops. Grok Learning- Hour of Code tutorials using Python. Scroll down and choose Is Eliza Human? for the most challenge. Next Next post: 2017 Book Fair and Dress Like a Book Character Day!